An uncommon late November lightning storm reminded me of how much I enjoy capturing lightning strikes. Unlike many other photographers that shoot lightning, rather than simply concentrating on the bolts themselves, I seek to make the strikes an integral part of the composition of the image. In order to do this it is essential to monitor the storm, its direction and the timing between flashes. Since Florida storms tend to move quickly, all of the above needs to be done quickly, and safely. 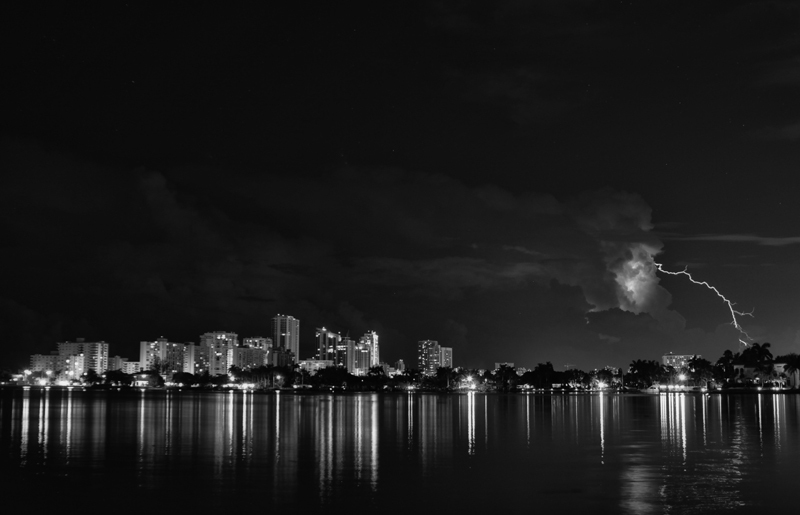 The image above was captured from across the North Lake in Hollywood, Florida after the height of the regular summer lightning storms. 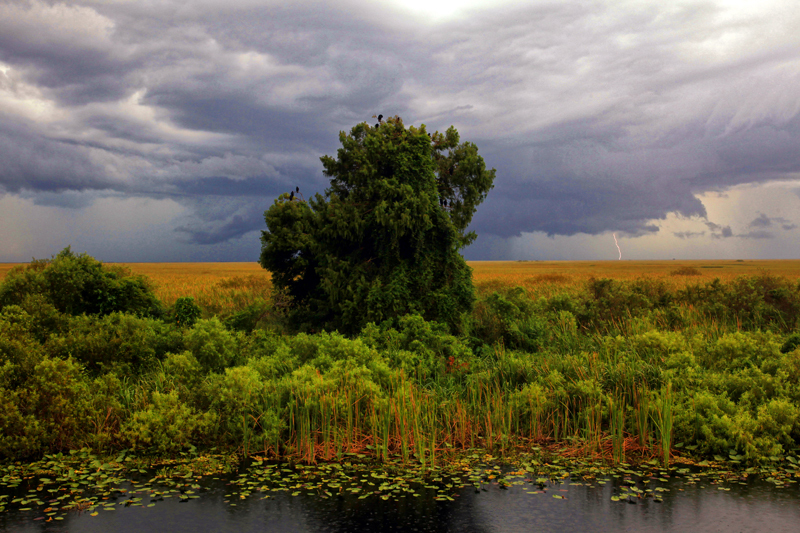 Following a storm approaching through the Florida Everglades, I captured this scene with bolts on both sides of the tree as the storm moved. At night, as in the Hollywood image, a tripod and remote cable release allow you to leave the shutter open in order to capture the strike. In the Everglades image, it was still daytime and without a Lightning Trigger (that captures lightning during the day), I had to improvise. Counting seconds between strikes I was able to capture three different bolts in separate images as the storm moved. The black vultures in the tree were unfazed by the strikes and were an added bonus in the final images. Luckily for me, lightning strikes… more than twice.